Everybody is in a process of Spiritual Formation. Many people are stuck in addictions. 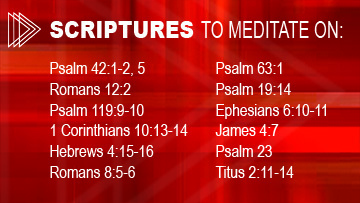 God’s Word has the power to physically re-wire your brain, developing in you the mind of Christ. If everybody is in the process of spiritual formation, meaning everybody is being “formed” by something, what are the primary shaping influences in your life? Read Jeremiah 2:11-13. What is Jeremiah talking about? What are some modern day “broken cisterns”? This sermon was AMAZING. Full of scientific information AND the word of God. I’m so glad I got to hear it and my deep desire is to really apply it to my life. Pastor Jim, thank you so very much for always preaching the Word of God apologetically! This was a very powerful message and I have found myself listening to it more than once this week. Go is continuing to make all things new!